"It was our honor to host some of the most dedicated and talented developers at GDC Canada this year," said Izora de Lillard, event director of GDC Canada. â€œThe event was a great opportunity for the developer community to network with like minded professionals and learn best practices for developing big global titles and understanding emerging digital distribution models." Bill Mooney, a Vice President at Zynga Studios and General Manager of FarmVille, kicked off GDC Canada with a keynote that provided a deeper dive into the evolving social gaming space and its future. The talk elaborated on development and business trends in social games, using prominent Zynga titles as case studies, including FarmVille and Mafia Wars, whose soaring popularity has helped the Facebook-based games garner tens of millions of active users. 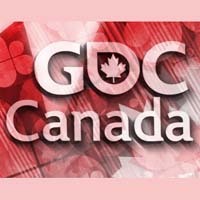 Full details on multiple GDC Canada talks are available via Gamasutra.com's event coverage. Going forward, in May 2011, Reboot Communications will continue to serve the Canadian development community in Vancouver with a major video game conference as part of Vancouver Interactive Digital Week 2011. UBM TechWeb is pleased to continue to participate in the 2011 event in Vancouver, in the form of a specialized 'Best of GDC' Track. This partnership with Reboot will bring top GDC lectures from worldwide to the Canadian audience for the first time, and more information on plans will be available later in 2010.